After paying attention and attending to your cannabis garden, it is now time to complete what you started. 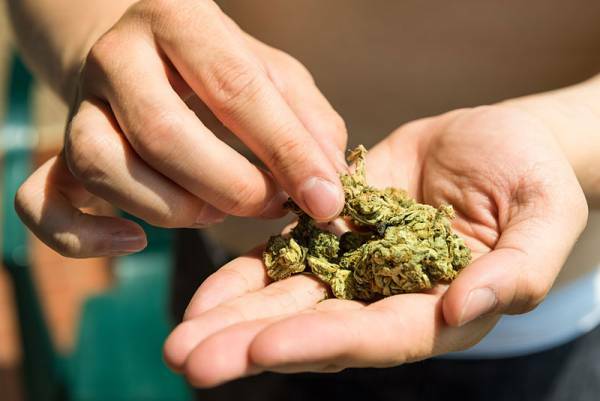 According to bestpot.ca, trimming is the process of cutting leaves from buds of marijuana and also known refereed as “manicuring.” This is ordinarily done to enhance appearances and get rid of the unpleasant taste. Some people fear the process of clipping cannabis buds; however, there are some approaches to make the whole process efficient and enjoyable. Understanding the basics before picking up the tools might help in ensuring that the buds are perfectly trimmed. There are several reasons why trimming cannabis is necessary. For aesthetic purposes, marijuana usually look finer and appealing when adequately pruned. The outward form of an appropriately manicured cannabis appears tighter and uniformly attractive like those seen in photographs. Untrimmed buds will ordinarily look less appealing to many buyers and users. Also, trimming reduces the harshness of cannabis, removing the additional leave matter enhances its smoothness, and it is, therefore, less irritating to the throat and the lungs. Additionally, sugar leaves contain less concentration of Tetrahydrocannabinol (THC). Therefore, cutting the protruding leaves helps in exposing the parts of buds which are rich in this chemical compound. Many growers will opt to trim buds, but they also do not want to waste any content of THC; hence they will process the trimmed leaves to extract any contents of THC in them. Ordinarily, the process of trimming should start several days before harvesting, during this time the larger fan leaves get eliminated. Growers generally remove the fan leaves in the weeks leading up to harvesting since this is the time senescence starts, a phase when the large fan leaves naturally terminate their functional life and start withering. It is recommended to begin removing the dead leaves before harvesting. However, if trimming is done too early, it might interfere with the plant’s growth since it might slow down or stop growing days afterward. It is advisable to wait until the last week before harvesting leaves should be dried. Trimming is essential for cannabis growers. There are a few techniques that can be adopted. Machine trimming is convenient for large-scale and commercial growers. When this method is applied, the bud will be aesthetically pleasing but is not the favorable option for flavor. Additionally, the trimming devices may also cut the bud material that contains trichomes which are responsible for the weed scent. Usually, different marijuana plant produces buds of varying size and shape, but the trimming machines are insensitive of these differences and are also unable to locate the buds crystallized in resin. The disadvantages of this method include the high cost of hiring and maintaining the gadgets. Also, adjusting the apparatus guarantees losing trichomes and potency. For small-scale growers, trimming can be done using the hands. With this approach, commercial growers need to hire experienced workers who have the required skills to trim the buds by hand. This method requires training to ensure that cannabis is appropriately handled and processed. For example, workers should know how to hold the bud to make sure they avoid compromising the shape of the bud. Manicuring can take place in two windows of time. It can be done on the harvest day when the plant is still alive. This is known as wet trimming and is the most commonly used method. This approach has several advantages which include allowing open access to the buds. Also, it is easier for growers to remove the dead leaves with their hands when the plant is still wet. Additionally, when the cannabis is fresh from the garden, it is easy to rotate the buds and the stems to locate the ideal cutting angles. Besides, wet trimming facilitates bud drying because additional foliage which contains the moisture is removed. The main disadvantage of this technique is that it is time- consuming and also expensive for commercial growers. On the other hand, dry trimming is conducted after four-ten days after harvesting when some of the moisture has evaporated. This method benefits growers from areas with dry climate. Also, growers prefer this approach because it is less sticky and it is easy when using the shears. However, the process of drying before trimming can result to unevenly wicked bud which can affect the quality of the cannabis. A pair of sharp, sterilized shears is essential for every grower. The best shears are ergonomic and should fit with the user’s grip; this is important especially when trimming is expected to take several hours because it prevents hand cramps. Furthermore, the scissors should be easy to clean because they get stickier with time. Ordinarily, it takes several hours before the buds are adequately trimmed. Therefore it is advisable to make sure you get a comfortable seat in a cool place with enough light and fewer particulars that are likely to contaminate the products. This is an essential tool that every cannabis grower should have. It provides a convenient place to store the buds being trimmed and it can also be conveniently placed on the lap. It is also important to consider the material of the tray before making purchases and ensure it is easy to clean. Stainless steel is the most appropriate. The trimming scissors are likely to slow down when they get sticky due to resin accumulation. Therefore, a clean cloth and rubbing alcohol vital. Alcohol helps in weakening and removing resin while the fabric is used to wipe the blades thus ensuring they are spotless. Cannabis harvested directly from the garden will have branches wrapped by fan leaves. Since these leaves contain little or no trichomes, it is essential to get rid of them before drying cannabis. Here a machine may be used to remove most of the large leaves. Once the cannabis is dry, the trimming process may begin. The buds are snipped from the branches. However, during this time the actual trimming has not yet started. The buds are stored in a paper bag ready for the next stage. The buds are loaded in a tray; one should not fill the tray as this might slow down the process of trimming and might also cause disorganization. Here you should cut the stem at the bottom carefully to prevent the bud from breaking down. Also, you should trim off any extra plant matter. When trimming cannabis one should use the tip of the shears and not the sides, this ensures the tool stays clean and may also reduce stickiness. Additionally, to ensure that a uniform surface area is created around the buds, everything that is not covered in trichomes should be trimmed. Once dried the buds should be stored in airtight containers for curing, this can be done in a glass mason jars. Overall, trimming cannabis is a delicate process, and it should, therefore, be treated with a lot of care to prevent significant setbacks such as bud breaking. Additionally, it is important to ensure that one has the required skills such as the expertise of handling the buds and the trimming shears. Once cannabis is trimmed, it should be loaded correctly in a curing jar and stored in a cool dark place away from direct sunlight.